Your first visit with Dr. Dan would include a Comprehensive Exam. A comprehensive exam is a thorough evaluation of your oral health and sets the foundation for all future exams. Since this is your first time seeing Dr. Dan, the comprehensive exam is unlike routine dental check-ups in that it is more in depth and therefore takes more time to complete. 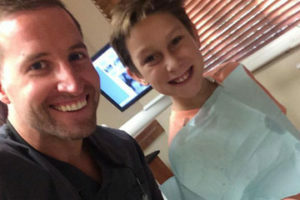 Dr. Dan will conduct a full exam of your head and neck muscles, jaw joints, bite, teeth and gums as well as a review of your medical history. This exam allows Dr. Dan to see how all of these systems function as a whole and therefore make appropriate treatment recommendations that best suit each individual patient.